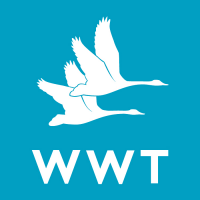 At WWT, we shape unforgettable experiences. By working as part of the Grounds Volunteer team you will assist with the maintenance of all aspects of gardening within the water and insect gardens at Washington. This will help to provide our visitors with a great day out and encourage them to engage with and support our work to save wetlands for wildlife and people. Assisting with all aspects of garden maintenance in the water and insect gardens. Assisting with planting, weeding and pruning. Helping us maintain our visitor infrastructure to a high standard including path clearance, and furnishings. No formal qualifications are required. However this role would suit you if you have formal or informal experience or understanding of gardening and conservation. You will need to be practical and physically able. You will be able to work in a team of staff and volunteers. You will need to be proactive and able to work with a minimum of supervision, under the direction of the Grounds Manager and wardens. An excellent opportunity to work alongside a fantastic team of people.